As the most recent iOS version, iOS 9 was unveiled at WWDC 2015 at the start of June. And it is supposed to be available at September, but now there is beta version for you to have a try. 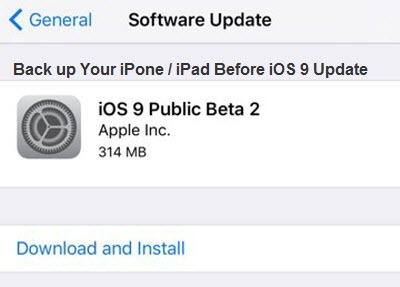 The first thing you need to do before the iOS 9 update is to back up all the data on your iPhone or iPad. And I am going to share three different ways to back up your iPhone or iPad. Before backing your device to iCloud, please make sure your iPhone or iPad has been connected to a Wi-Fi network. 2. Sign in to your iCloud account with an Apple ID. 4. 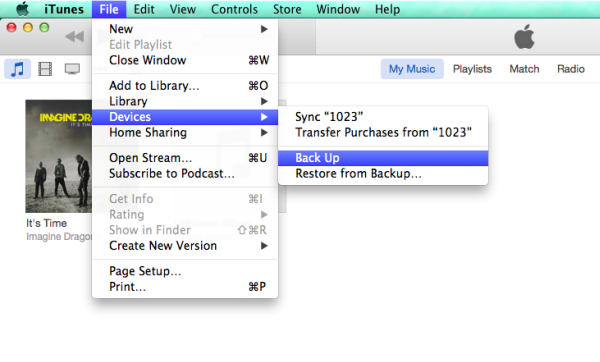 Hit Backup Now to start backing up your iPhone or iPad data. 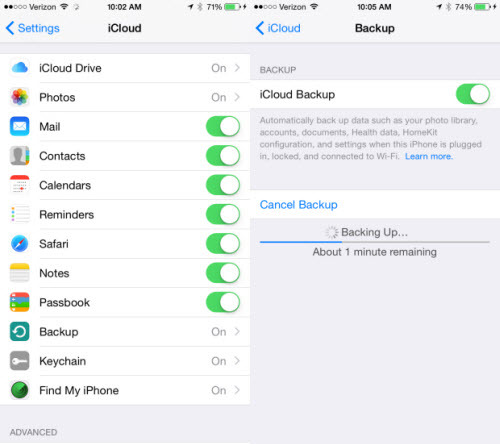 Note: If you've turned on iCloud Backup, iCloud can automatically back up your device each day. Before backing up your iPhone or iPad to iTunes, you’d better update your iTunes to the latest version especially when there is prompted message suggesting you doing so. AS iTunes does not backup purchased items from iTunes store and app store, you need to Save content that you downloaded from the iTunes Store or App Store by clicking File > Devices > Transfer Purchases. If you're using Windows and you don't see a File menu, press the Alt key. The purchase transferring will take some time, please wait with patience until it finishes. 1. Open iTunes and connect your device to your computer. 2. Click File > Devices > Back up. 3. Check if your backup finished successfully by clicking iTunes Preferences > Devices. You should see the name of your device with the date and time that iTunes created the backup. If your iTunes does not work or you just want the text and media data only, you can export and transfer your iPhone or iPad data directly from your device to computer for backup. 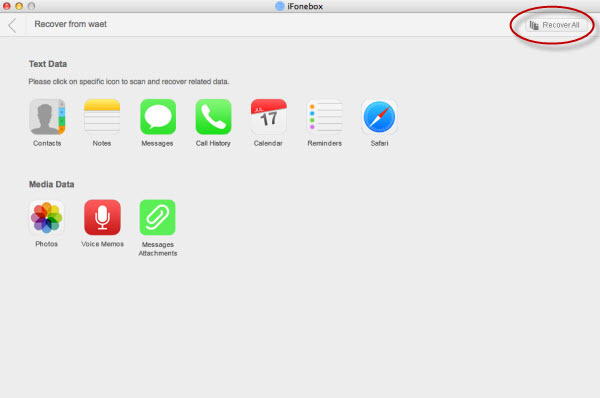 iFonebox, as professional iPhone or iPad data recovery software, currently supports exporting and transferring Contacts, Notes, Messages, Reminders, Calendar events, Voice Memos, Safari Bookmarks, Call History, Photos and WhatsApp Messages. You can download a free trial version to have a try before you decide to purchase it. 1. 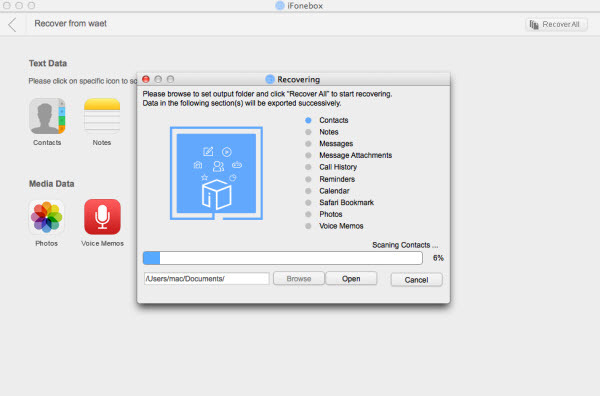 Install and run the full version of iFonebox. And connect your iPhone or iPad to your computer. 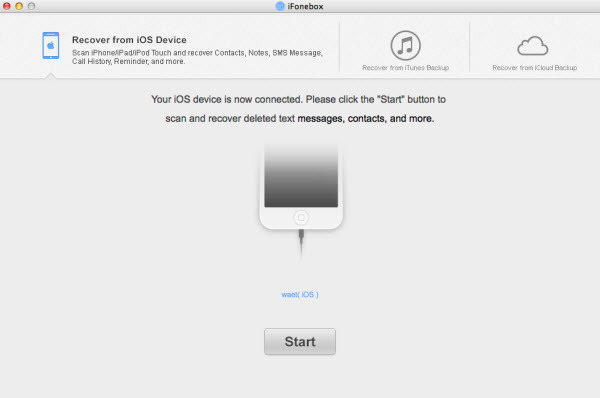 Click Start after your iPhone is recognized. 2. Check Recover All when you are presented with a interface listing all the supported data categories. 3. Define a destination backup folder if you don’t want the default one and click Recover to start the backing up. Note:Data backed up with iFonebox is readable file, you can view the exported data on your computer if you don’t want to restore to your iPhone.